Another week comes to a close and we're staring the weekend in the face! I've got a few shameless promotions and a great online store I've found to share with you this week. First up, I'm excited to debut new labeling for Lora's Beauty Soaps! Autumn is in the air and I've added a black background wrapper to the soaps with a small leaf punched into the foreground label. It's not much but it looks o-so-sophisticated! Also for Autumn; a new scent! The Honey Ginger goats' milk soap is a seasonal special only! Need a gift for someone with an Autumn birthday? This soap paired with some Warm Cinnamon Honey soap all decked out in the new labeling would make a beautiful and useful gift or pick some up for yourself! 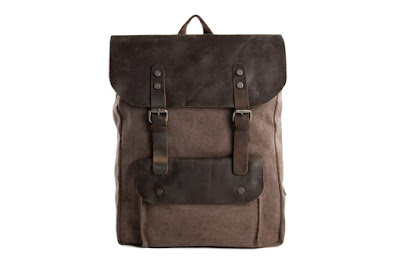 Several years ago I purchased a waxed canvas backpack with leather straps from an Etsy store. I use it mainly for a camera case and every time I use it I get compliments on it. It's well made and looks like it. I've also seen similar bags in stores selling for upwards of $300. I paid around $60 for mine. I was going to send the website to a friend who asked for it a couple years ago, but the Etsy store was no longer in business. Well, just this week I got an email from the store saying they have a new website! Check it out if you're in need of a new bag. Their prices are great (the bag pictured sells for $55!) and I've been very pleased with my backpack! Got a beard? I have it on good authority that the Kent Beard/Mustache Comb is #thebomb! It's handmade with each tooth cut by special circular saws, profiled, beveled and hand-polished on pumice wheels. This is done to eliminate razor sharp teeth which can damage hair and cause split ends. 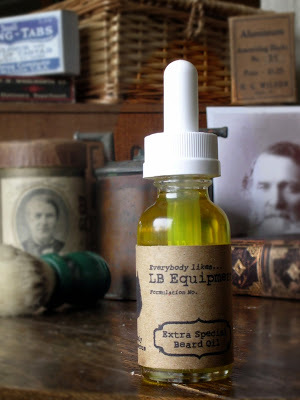 Use it with LB Equipment's Beard Oil for a soft, glistening, tangle free beard! Get out there and enjoy your last summer weekend! We're going to try to make it to the Polish Festival for some great food!